A short perusal of the major tech blogs on the Internet, like Mobile Magazine, will inevitably bring up a series of acronyms and other terms related to cellular phone technology. For a good part of the early 21st century, the big discussion surrounded 3G mobile technology, but what exactly does that term mean? 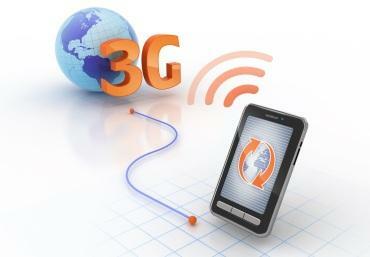 In a nutshell, 3G simply refers to the third generation of cellular phone technology. Before 3G technology was widely deployed in North America, Europe, Asia and other parts of the world, most cellular phone companies operated on "2G" networks. These include the GSM (Global System for Mobile Communications) infrastructure used by such companies as T-Mobile, as well as the CDMA (Code Division Multiple Access) infrastructure used by such companies as Verizon Wireless. These technologies eventually paved the way for "2.5G" and "2.75G" technology like GPRS (General Packet Radio Service) and EDGE (Enhanced Data Rates for GSM Evolution). These were among the first wireless technologies that provided wireless data transmisison, granting users access to the Internet, picture messaging, and more. The trouble was that these technologies were notoriously slow. Easily the biggest reason why 3G mobile phone technology was so important and had such a huge impact on the industry was that it finally started to provide faster data transfer rates. This allowed cell phones to use services never before possible on a mobile platform. Video conferencing was said to be the "killer app" for 3G. As such, many 3G handsets feature not one, but two cameras. The "primary" camera is typically on the back of the phone, whereas the front camera is used primarily for video calling, as would be the case with Apple's FaceTime application. In Japan and Korea, "conventional" Mobile TV standards rose in popularity for a while, but they have largely been usurped by streaming media over a 3G wireless connection instead. Mobile Internet access allows for YouTube streaming, live television, and more, as well as the usual web-connected services. If it were not for mobile Internet access on smartphones and feature phones, people would not be connecting to Facebook, Twitter, email, and Foursquare while on the go. In the early days of 3G, it was used greatly for downloading mobile content. Cell phone ringtones were and continue to be incredibly popular, with several services being offered that allow users to customize their mobile phones with unique ringtones downloaded directly over the Internet. Early on in the 21st century, there were three main 3G standards that were deployed in selected regions around the globe. UMTS stands for Universal Mobile Telecommunications System, and is sometimes referred to as 3GSM. UMTS was capable of data transfer rates of up to 1920 kbit/sec. FOMA stands for Freedom of Mobile Multimedia Access and was the brand name for 3G services offered through NTT DoCoMo of Japan. A pioneer in 3G, FOMA was officially launched way back in 2001. 1xEV-DO, initially designed by Qualcomm, is CDMA's answer to W-CDMA. EV-DO stands for Evolution Data Optimized, and is a broadband data standard that was adopted by such wireless service providers as Telus Mobility of Canada and Verizon Wireless, the latter of which marketed its EV-DO services as "V CAST". EV-DO's data transfer rate was right in line with W-CDMA, offering approximately 2Mbit/sec downlinks. TD-SCDMA was developed by and for the People's Republic of China. Standing for Time Division-Synchronous Code Division Multiple Access, TD-SCDMA was meant to provide the Chinese people with high speed data that wasn't "dependent on Western technology." HSDPA: Even before 3G was fully adopted, cellular phone technology companies started working on and testing the subsequent sub-generation of wireless data. As part of the 3.5G, HSDPA (high-speed downlink packet access) was an extension of WCDMA in much the same way that CDMA2000 was improved upon to become EV-DO. HSUPA: Whereas HSDPA allowed for "downlinks" (cell phones receiving data), HSUPA allowed for "uplinks" (cell phones sending data). In this way, it naturally accompanied HSDPA and was called 3.75G. It was through HSUPA that services like Qik live streaming gained in popularity among technology enthusiasts. Just as there was much talk about 3G wireless technology in the early part of the 21st century, more recent talk has surrounded 4G technology. T-Mobile rebranded its HSPA+ (high speed packet access plus, an upgrade over HSDPA/HSUPA) as a 4G technology. Similarly, Verizon offers LTE (Long Term Evolution) and Sprint has WiMAX (Worldwide Interoperability for Microwave Access), both of which are marketed as 4G network technologies. They offer varying speeds, but all are faster than the older 3G technology. In fact, for some users in some areas, the wireless connection over a 4G cellular network can be faster than a typical home broadband Internet connection! Looking to the future, it can only be expected that these technologies will continue to mature and improve, offering even faster speeds and more reliable connections to the Internet.